Ever since Linus Torvalds released the first Linux kernel more than two decades ago, advocates of the platform have said the Linux revolution was just around the corner. All it needed was that killer app/interface/feature! It’s an old refrain, but in recent months we’ve seen a fresh new angle to this old chestnut: gaming. The latest person to go ga-ga for Linux gaming is Lars Gustavsson, creative director for EA Digital Illusions CE (DICE)—the Electronic Arts studio behind the beloved Battlefield series. With Battlefield 4's release right around the corner on Tuesday, October 29, Gustavsson recently told Polygon that DICE “strongly” wants to get into Linux. Gustavsson said that all it takes is that "one killer app or game" to drive a niche platform into the mainstream. As Halo was to the Xbox, so could < insert title here> be to Linux, he argued. Gustavsson is a little late to the most recent iteration of the Linux revolution that’s just around the corner, however. 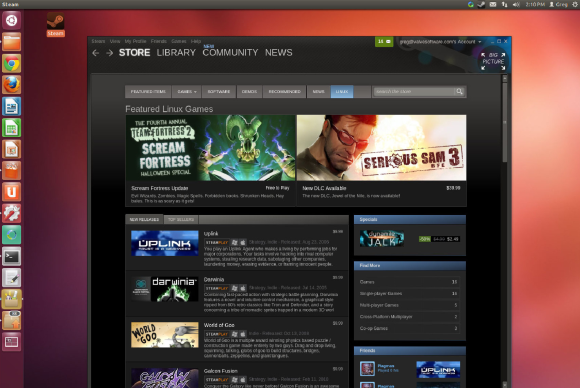 Steam for Linux, on Ubuntu Linux. The DICE chief’s comments follow a number of Linux-focused announcements from Valve in recent months, such as the Steam client for Linux, the Linux-based SteamOS and the Steam Box console. The latter two components are a Valve-developed combo hoping to challenge the Xbox and PlayStation in the living room. Then after Valve’s Steam Box announcement, AMD and Nvidia announced improved driver support for Linux gaming. AMD's new low-level Mantle technology could also encourage developers to port their triple-AAA titles to Linux to accomodate Steam Machines. Valve, AMD, Nvidia, and now DICE are all singing the praises of Linux? Can it be true? 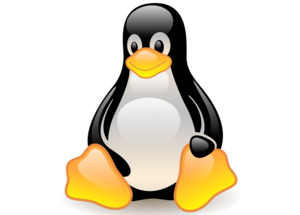 Is Linux set to go mainstream as a gaming platform for PCs? Maaaaaaybe. The Steam Box could take off and inspire a number of other Linux-based machines, but there are questions about Linux gaming still waiting to be answered. Is there any company that would actually be willing to make their game a Linux exclusive, given Linux's itty-bitty market PC market share? Perhaps DICE will try it in the coming months, or as our own Brad Chacos wondered, maybe Valve will try making Half-Life 3 a Steam-for-Linux or Steam Box exclusive.